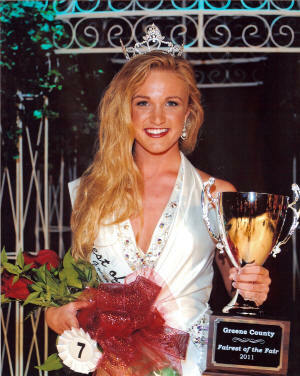 Madison Ray was the winner of the 2011 'Fairest of the Fair" competition at the 62nd annual Greene County Fair. 17 years old, Madison is a senior at Greeneville High School. She is the daughter of Debbie and Kenny Ray.